I really like quirky fashion that grabs attention and Betsy Johnson creates the perfect high fashion yet kitsch designs. 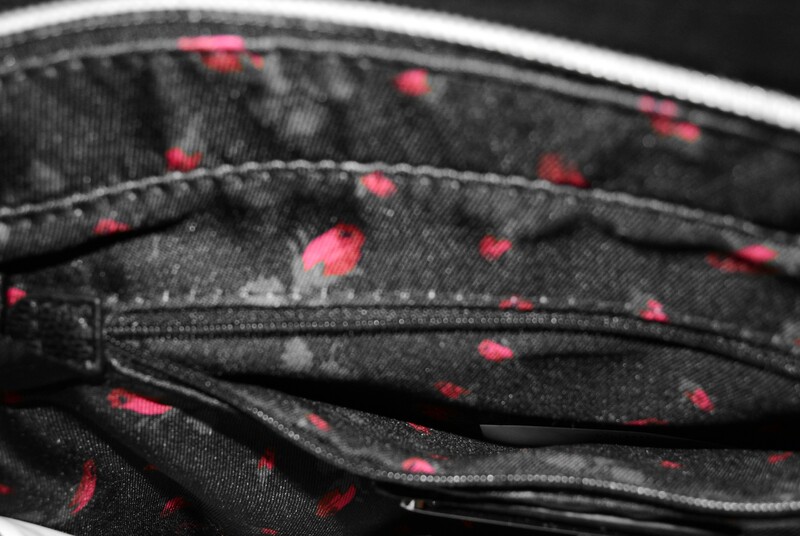 This is one of my favorite purses. The shape of it is so great, I don’t know why, but there’s something so appealing about the square bags like this. 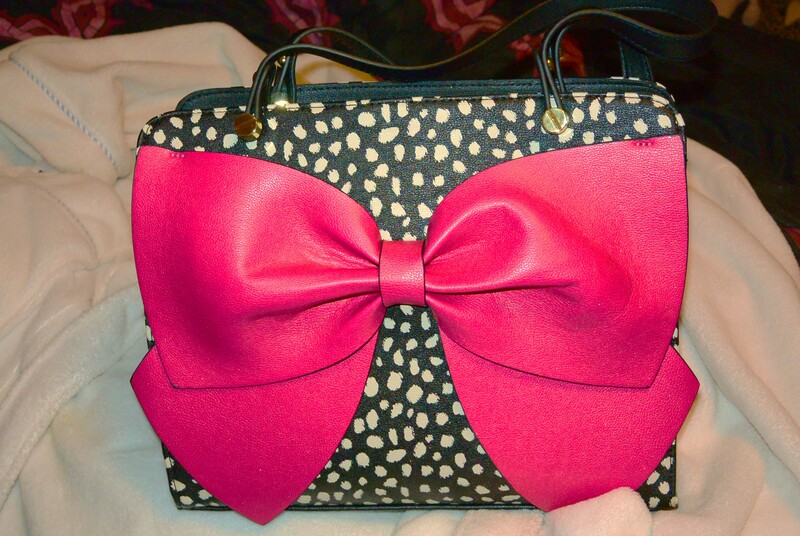 When I doodle drawings of purses, they always look similar to this bag, same shape and often have polka dots or bows! My mom couldn’t have done a better job picking a purse for me. My friends say this bag suits me! Super chic and girly combo. 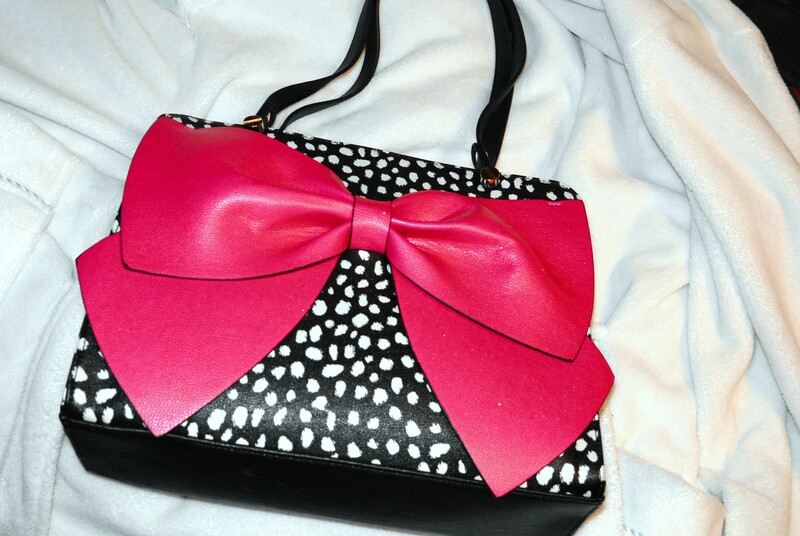 The polka dots are cream color with irregular boarders, the bow is hot pink, and the texture is kind of grainy and rubbery. It feels good to the touch. I took a shot of the inside too. Look how pretty it is. Rose pink flowers on black. Dreamyyy. 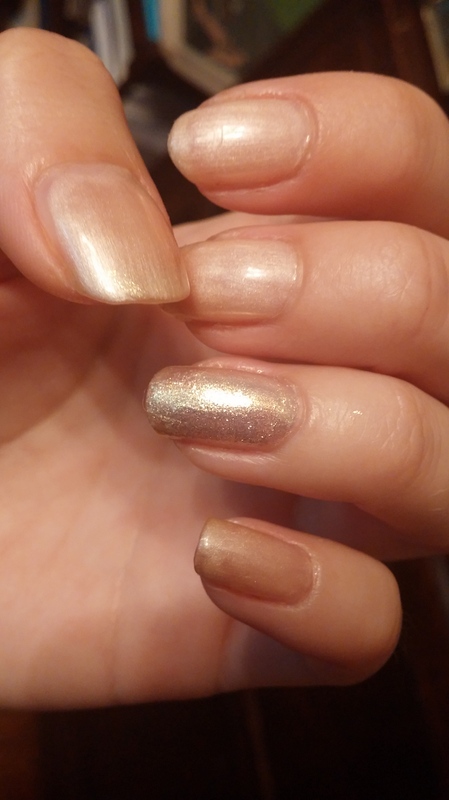 I try to polish my nails often since doing hair can break nails and stain them. I want them to look as good as possible. I might eventually break down and get fake nails again, but until then, I will just stick to regular polish or gel nails. These nails are gel. I think the color was Honey by OPI. Or was it the one called Passion? I can’t remember right off, but those are similar colors. It was one or the other! Comment, like, etc. I will soon post blog entries with images from my new camera!! Hopefully the quality will be good. This is my first post in 2015!! I’ve been busy as usual, and I also got sick around the holidays so I haven’t been on my laptop much. This cool scarf was a birthday gift from my aunt. 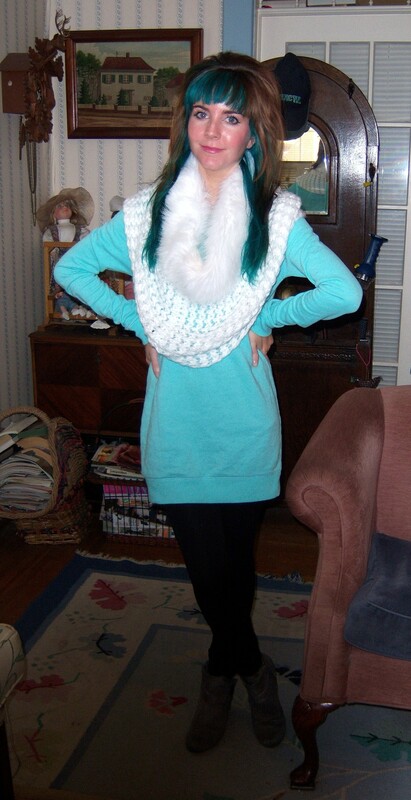 It’s a cowl scarf, so it is kind of like a cowl neck sweater combined with a scarf. I like these infinity scarves, not just cause they’re super trendy right now, but because you just slip it on and don’t have to worry about one side going lower or flying off and getting stuck on something.